Microsoft co-founder Paul Allen has died aged 65 from complications of non-Hodgkin’s lymphoma. Paul Allen had revealed the disease’s return only two weeks ago, after previously being treated for it in 2009. In a statement confirming Paul Allen’s death on October 15, his sister Jody described the businessman as a “remarkable individual on every level”. The statement said: “Paul’s family and friends were blessed to experience his wit, warmth, his generosity and deep concern. For all the demands on his schedule, there was always time for family and friends. Paul Allen made his fortune alongside school friend Bill Gates, after they co-founded technology giant Microsoft in 1975. He left the company in 1983 following his first diagnosis of the blood cancer Hodgkin’s disease, but recovered to become a successful venture capitalist with his media and communications investment firm, Vulcan that he set up in 1986. Paul Allen’s investment firm confirmed news of his death on October 15. Paul Allen is estimated to have donated more than $2 billion to philanthropy throughout his life including science, education and wildlife conservation causes, the Associated Press report. He was also an avid sports fan, owning both the Portland Trail Blazers basketball team and Seattle Seahawks NFL team, who won the US SuperBowl in 2013. 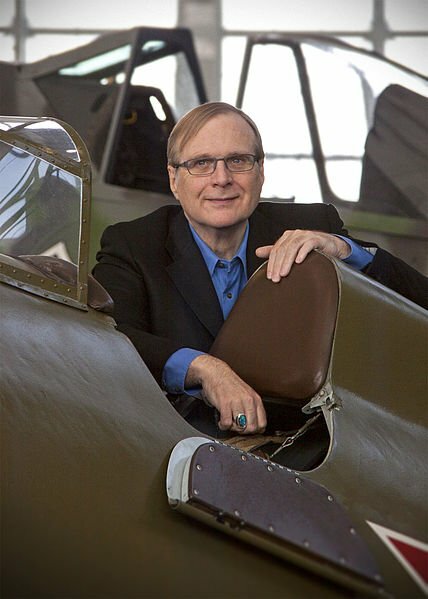 In 2010, Paul Allen pledged to give the majority of his fortune to charitable causes after his death.